The Quantum Spin Dynamics research group studies experimental quantum coherent phenomena of spins in molecular and solid state systems and in devices, with a focus on quantum information science. Systems under investigation include donors in silicon as well as custom-designed molecules which exhibit particular spin interactions. Specific research interests include: the transfer of coherent states between different degrees of freedom; understanding and mitigating spin decoherence mechanisms; the interaction of nuclear spins with transient electron spins; and robust methods for generating spin entanglement. Through this research the group explores the potential of spins for quantum technologies (including quantum sensors, simulators and computers). We are looking for two PhD students to join the group and undertake a project in one of the areas currently under investigation. Successful candidates will be able to discuss potential projects which fall within the group’s activities. This is an excellent opportunity to join a successful and dynamic research group, with world-class facilities in a newly refurbished laboratory for the coherent control of electron and nuclear spins in the solid state. 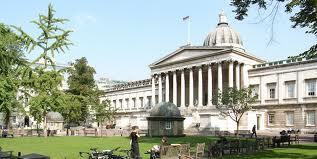 Demikianlah artikel mengenai PhD Studentships in Materials & Devices for Quantum Technologies, University College London, UK Semoga Bermanfaat Bagi Anda.